Riu Palace St. Martin is an all-inclusive, family-friendly hotel, located in the beautiful French quarters of Anse Marcel, St. Martin. 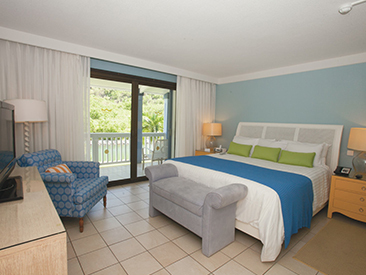 Situated on a stretch of beautiful, white-sand beach and with a wide array of included amenities and delectable meals, this resort is set to give guests the relaxing vacation experience they seek. 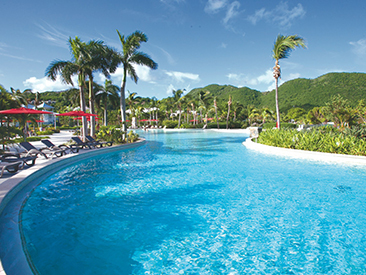 A sun lounge area on the terrace, 24-hour room service and refreshing swimming pools are just a few of the glamorous amenities being offered by Riu Palace St. Martin! Whether it's spending time with the family at the children's section of the pools, experiencing new cuisine at one of the four delicious restaurants or taking the kids to the mini-club for kid-friendly entertainment, there are all kinds of family adventures to be had. Named the best hotel in Saint Martin by U.S. News & World Report in 2015, this family-friendly and all-inclusive hotel entices guests with its location on a stretch of beautiful white sand beach. Its wide array of included amenities and delectable meals cooked by the most qualified chefs promise to give guests the relaxing vacation experience they deserve. Spring Breakers (either groups or individuals, regardless of age) are not allowed at any RIU property, at any time during the year. RIU Hotels & Resorts, reserves the right to withhold admission to any Spring Breaker. The hotel reserves the right of admission and may request clients to show passport or official ID to prove full identification. At least one person 21 years or older is required in every room during the months of February through May. Guests can and will be removed from the property at their own expense in case of any disturbance or complaint from other guests or hotel staff. Parties in rooms are not allowed. Spring break groups or unruly behavior is not allowed all year round at any property.